July 20, 2019 marks the 50th anniversary of the first human landing on the moon. In celebration of the anniversary, join former Visual Arts Resident and ceramicist Nicholas Oh, aka Dave Kim, in creating moon jars, historical Korean vessels named for their resemblance to the full moon. Throughout the two-day workshop, participants will learn about the history of the moon jar, basic handbuilding techniques including coil building, pinch potting, slip and scoring, and slip decoration as well as the pit fire and raku process. Ultimately, participants will apply these techniques to create their own moon jar. Materials: Materials will be provided. Audience: Some basic knowledge of ceramics and a willingness to get messy. Nicholas Oh is a Korean American artist currently working in Brooklyn. 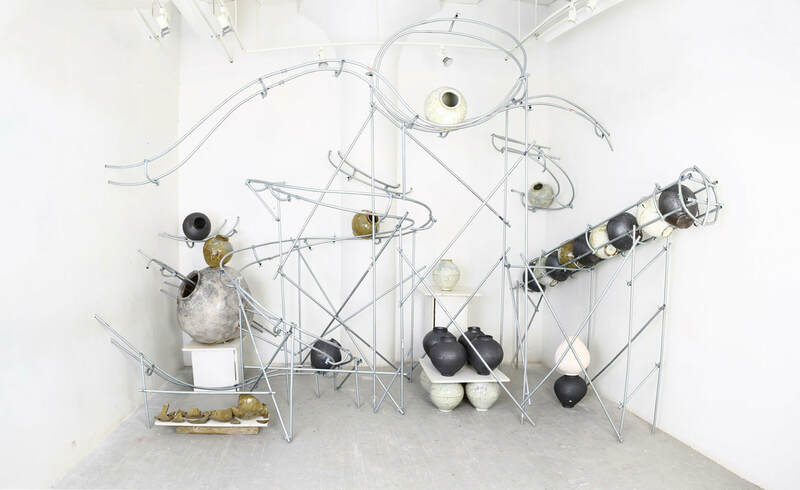 Oh focuses on creating objects and installations that deal with race and identity. By creating and destroying clay replicas of Confederate statues, the artist explores changes in the statue’s meaning through time and history. While many believe these statues were built to commemorate fallen soldiers during the Civil War, he looks deeper into their role in oppression and terror. The artist’s ideas start by looking back on his own history and background (Oh was born in Wisconsin, but spent his early childhood in Korea). Nicholas Oh is a United States Marine Corps veteran. He received his MFA from Rhode Island School of Design, Providence, in 2018, after graduating with a BA from San Francisco State University, San Francisco, 2015. Oh’s Residency is supported in part by a partnership with Rhode Island School of Design.